There are countless art experiences to be had. Add in a cool, open-minded crowd, entry, and complimentary wine - it’s the essence of it all. 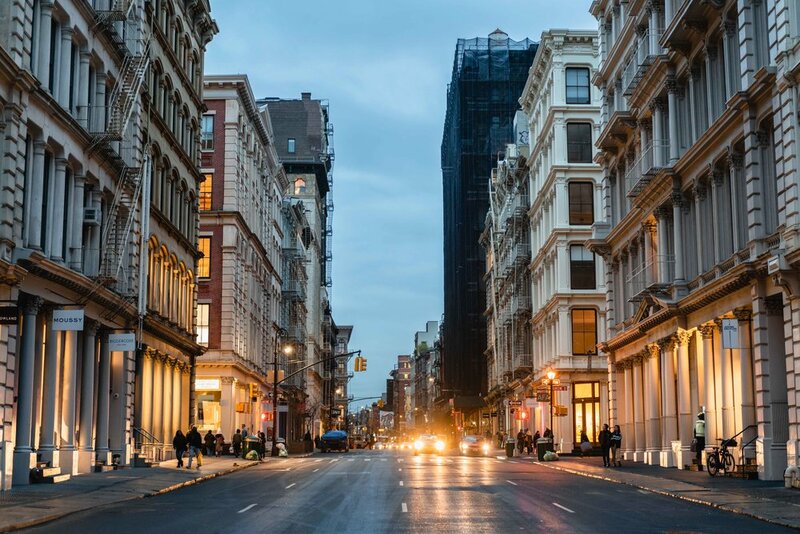 Part of what makes New York City so appealing is its access to art and culture. Artists flock for inspiration and opportunity, so the city is full of art makers and appreciators. This means there are countless art experiences to be had. Add in a cool, open-minded crowd, entry, and complimentary wine - this is the essence of gallery hopping. The diverse downtown, west-side neighborhood considered by many as the center of New York’s contemporary art world. Home to more than 200 galleries. Also downtown, a trendy commercial area known for its wide cobblestone streets and fashionable boutiques. Particularly since the relocation of the Whitney Museum to the district, the neighborhood has become a go-to for art lovers. One of the most eclectic and vibrant neighborhoods in the city. Once an iconic quarter for street art, The lower east side has maintained its reputation as a destination for up- and-coming artists and avant-garde art. You have to be flexible in your search. If you notice there are a lot of opening events in a particular neighborhood on a particular date, start refining your search to that location. This may mean skipping out on a more interesting exhibition, but hey, it’s not gallery hopping if you have to take the subway between each reception. You should have a bare minimum of two galleries on your list to visit, making sure they are walking distance from each other. I’ve noticed that a lot of smaller opening receptions aren’t listed on the more popular art sites, so it’s likely you will come upon one or two additional events on your art walk. An ideal gallery hop includes 3-5 destinations. If the reception required an invite or a ticket, I would recommend business casual at minimum if no dress code was specified. But for any public opening event, you can wear whatever you want and no one will care—this is New York City after all. But bonus points for a hip outfit, a lot of attendees are very fashion-forward and photographers will sometimes attend larger receptions. Be comfortable, don’t forget you’ll be walking for an amount of the night. A lot of gallery receptions will provide complimentary wine for attendees. Feel free to have a glass. Where else will you get free alcohol in New York City? Talking and laughing with friends, taking photos, etc. are all acceptable. What I love about gallery receptions are the open and lively atmospheres that are often absent during normal business hours. The concentrated silence and careful side-stepping typical of art viewing is abandoned for the night. Be careful of what you say out loud about the art. The artist, as well as their family and friends are often present on opening nights, and the last thing you want to do is trash the sculpture in front of you as derivative, meanwhile the artist is standing right behind you. Feel free to have opinions, but I find that opening receptions are more about discovering what’s out there and enjoying the ambience, and not the greatest time to become an academic art critic. A personal favorite, this space specializes in conceptual works of all mediums.